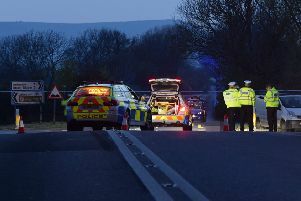 A road has been closed while emergency services are at the scene of a crash this evening (February 4). The A259 is closed in both directions between the B2233 Yapton Road junction and the Ferry Road junction. Reports say there was a single vehicle accident early this evening. Traffic is also being held up on the B2233 Yapton Road from B2132 Bilsham Road to A259 Crookthorn Lane.